SYSIT’s Web Gateway provides a complete solution for policy controlled web security allowing you to exploit collaborative Web 2.0 technologies to grow your business, while reducing costs and mitigating risks. Web traffic has increased exponentially in recent years, and corporations are increasingly relying on the internet for their day to day operations. That, combined with the emergence of more diverse endpoints, mobility, and BYOD, along with a growing attacker base, is making users easy targets of modern malware. They are increasingly vulnerable to identity theft and having their data compromised. Traditionally, enterprises have inspected HTTP traffic for malware and viruses. They bypassed HTTPS/TLS traffic, because it was not as prominent. It was used sparingly for content that was sensitive and trusted. But that has changed rapidly as most public internet websites now prefer to use HTTPS to protect user privacy. As a result, the inability to inspect encrypted packets allows malware or intrusions into the enterprise network. 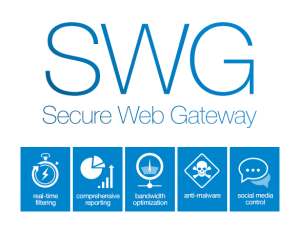 The SYSIT Secure Web Gateway (SWG) solution offers tools that enterprises can use to protect against internet threats. The Web Gateway goes beyond simply keeping your network free of viruses, spyware, and other inappropriate content including harmful executables. You decide exactly what content flows, when and to whom. It lets you create secure policies that enable collaboration, minimise risk and maintain productivity. The SYSIT SECURE Web Gateway is designed to enhance the internet experience by encouraging appropriate behaviour, minimizing the careless error, and protecting against the bad guys. Constantly updated antivirus signatures from global network of sensors and industry’s best malware feeds prevent infections caused by malicious web downloads. 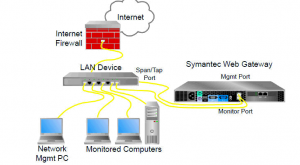 A SYSIT secure web gateway appliance can be physical or virtual. As a hardware appliance, it is available on mid-range SYSIT MPX 14xxx Secure Web Gateway variants for medium to large enterprises requiring up to 100 Gbps system throughput. From release 12.0 build 56.x, it is available on all SysIT SDX platforms.